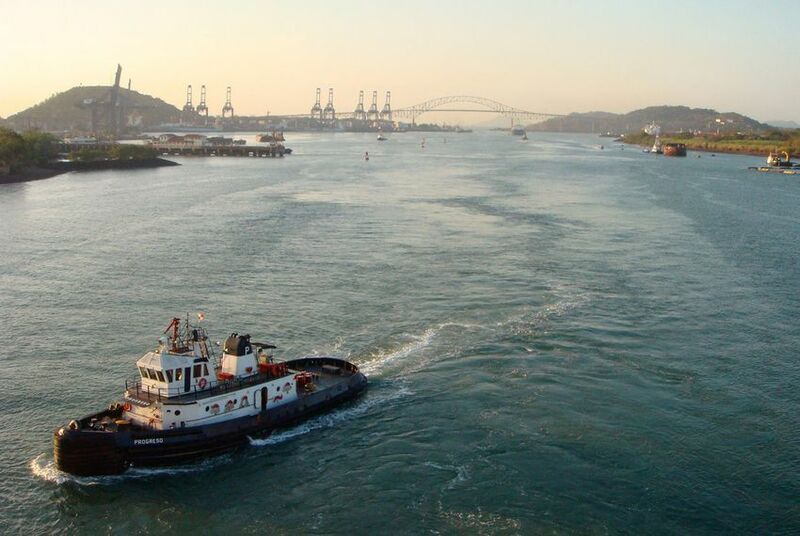 An upcoming expansion of the Panama Canal will boost Texas exports but not do as much for imports, according to a report commissioned by the Texas Department of Transportation. A $5.5 billion infrastructure project under way in Central America will have far-reaching effects on Texas, but not in the way many had originally guessed, according to a recent report commissioned by the Texas Department of Transportation. The Panama Canal is undergoing its first expansion in more than 100 years. In early 2015, it will debut wider locks that allow for larger ships to pass through it for the first time. Public officials and business leaders have debated for years how the expansion will impact Texas. Will it spur a boom in imports to Texas? Can the state’s network of roads, ports and rail handle such an increase in trade? In May, TxDOT created the Panama Canal Stakeholder Working Group to assess the expansion’s impact and how Texas can better prepare. The group’s report, released last month, predicts that the project will do more for selling Texas goods to the rest of the world than the other way around. “Exports are going to be huge,” Harris County Judge Ed Emmett, the group’s chairman, said at a recent meeting of the Texas Transportation Commission. The liquefied natural gas industry, in particular, may see a transformative change. Currently, the canal does not allow LNG vessels because they are too big. Those ships will be able to use the canal after its expansion. Cotton, pecans and corn and other Texas crops could also see a boost in sales to other countries, according to the group’s report. The canal expansion isn’t likely to spur a corresponding boost in imports to Texas. Most Asian shippers will still choose to use ports on the West Coast and Mexico, Emmett said. “The simple reality is a lot of ships are still going to stop at L.A.-Long Beach because it’s 11 days to go past there, to come through the canal to get to the Texas Gulf Coast and it’s 11 days back,” Emmett said. The report recommends that TxDOT focus more funding and resources on projects that will facilitate trade, particularly trade by ship and train. The group called on TxDOT to develop a maritime division within the agency and a separate Freight Advisory Committee. The agency recently created a maritime division and is in the process of forming the advisory committee, spokeswoman Veronica Beyer said. TxDOT should also develop a statewide freight plan, which would allow it to apply for federal funding to move projects in the plan forward, according to the report. The report also calls for increased investment to develop the Gulf Intercoastal Waterway, a coastal canal that stretches more than 1,000 miles and connects Texas ports with ports in Louisiana, Mississippi, Alabama and Florida. In its report, the Working Group called the waterway a “sleeping giant” that has the potential to absorb part of the boost in trade that may develop from the Panama Canal expansion. The waterway should be fully properly dredged to a depth of 12 feet to draw more trade traffic, according to the report. Beyer said TxDOT estimates dredging the waterway to 12 feet would cost $60 million. Maintaining the dredging would cost another $30 million annually, she said. The Legislature may consider the report's recommendations as it works on TxDOT's next budget during the 2013 legislative session.